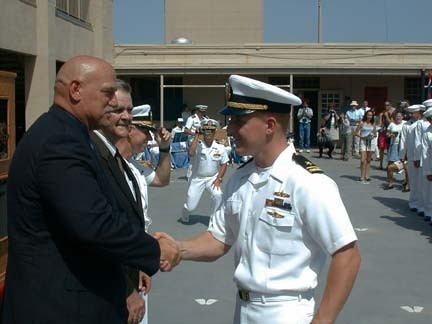 Minnesota Governor, Jesse Ventura congratulates a new graduate of BUD/S (Basic Underwater Demolition/SEAL) training Class #230 as the "Tadpole" becomes a SEAL. Governor Ventura was known as Jim Janos when he graduated from Class #58 and followed his older brother Jan Jonos Class #52 into combat in Vietnam. Governor Ventura continues to earn the respect of the Naval Special Warfare Community. 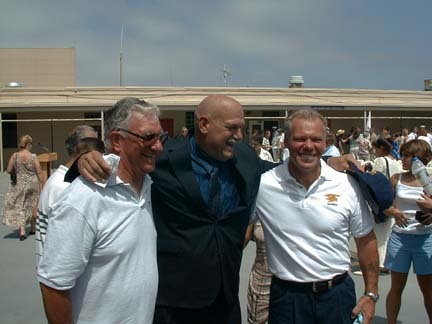 Minnesota Governor, Jesse Ventura renews old friendships with two of his instructors J.C. Crane, Master Chief USN.Ret. 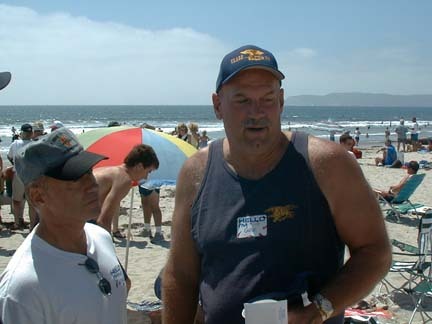 (left) and Terry "Mother Moy" Moy, Master Chief USN.Ret. (right) not present was Terry Manley, Master Chief USN.Ret. Rudy Boesch and Governor Ventura talk about the "Good-Old-Days". 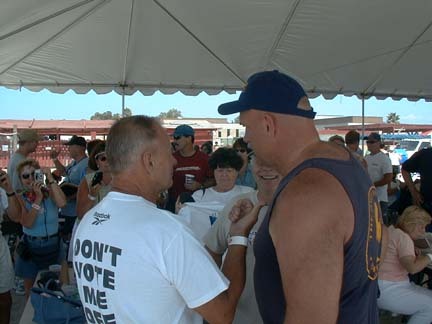 Governor Ventura had a constant line of people waiting to see and speak with him. But here he ran into someone he was deeply interested in talking with.He and Robert J. Macfarlane began their long discussion of matters both must have recognized as important. 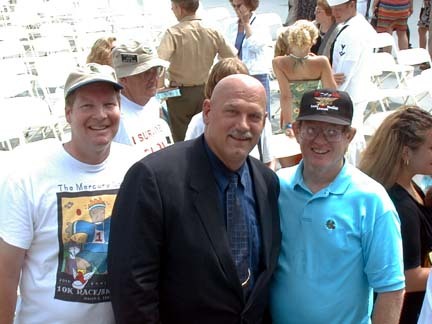 Governor Ventura with Mark Schneckloth (left) and Terry Fowler (right) a graduate of Class #36 and combat veteran.